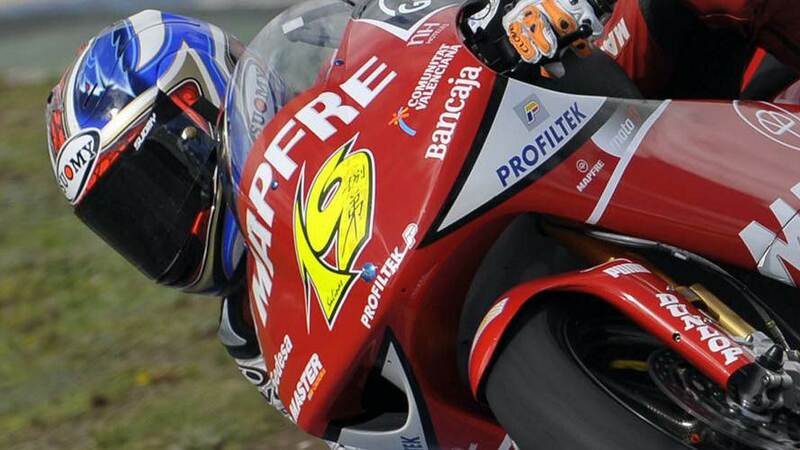 Spanish rider Alvaro Bautista will ride one of the official Aprilias that will race next year in the MotoGP Championship, managed by the Aprilia Gresini Racing Team. The agreement with Bautista is valid for two years, for the 2015 and 2016 seasons. A rider with vast experience, Bautista – born in Talavera de la Reina on 21 November 1984 – took his first world championship steps astride an Aprilia 125cc, which he rode to victory as World Champion in the “eighth litre” class in 2006. In his fifth year in the top category, MotoGP, Bautista boasts 3 podiums and one pole position and his trophy case includes a total of 16 wins, 33 podiums and 18 pole positions. The signing of Alvaro Bautista comes just a few hours after the official announcement that the Aprilia brand will return to the MotoGP World Championship – already in 2015, one year ahead of the previously announced plan – through a four year cooperation with the Gresini Racing Team and Aprilia Racing. “This represents another step in defining the team that will take the Aprilia bikes onto the track for the next MotoGP season. On Friday we announced our return to the championship with Gresini Racing. Today we have inserted another very important tile in the mosaic by announcing Bautista’s signing. I am particularly satisfied because Alvaro has been confirmed on a team that he already knows well, creating the basis for that rapidity in finding maximum competitiveness that led us to moving up our plans to return to MotoGP”. “I am happy to be able to continue working with Bautista, Alvaro has significant experience in MotoGP so his contribution will certainly be essential in developing the new projects with Aprilia in the best possible way. I believe very much in him and his potential and I am confident that he will be able to bring us the results we are expecting. Also, this two year agreement will allow us to maintain continuity in the bond between Alvaro and Gresini racing which was formed in 2012 and that has been strengthened over the years”. “I am very happy to have signed an agreement with Aprilia or the next to MotoGP World Championship seasons. Working in close contact with a manufacturer is what I wanted for my future and Aprilia has offered me a great chance. I am also very motivated to embark on this new adventure because I am coming back to a brand that has brought me great satisfaction in the past and with which I have shared some great times. Above all, the cooperation between Aprilia Racing and Gresini Racing will allow me to stay on a team that I’ve been racing with already for three years and which has become like a family to me. I have worked directly for a manufacturer in the past and I really liked developing a new project together. Knowing that I’ll be able to count on the support of so many engineers and technicians is exciting and I can’t wait to get started working with them”.